Summer (Late September-Early April): 8am-6pm; Winter (Early April-Late September): 8am-5pm. Set on 70 hectares in the stunning Te Whakarewarewa Valley, Te Puia is a place dedicated to preserving the culture, customs, arts, and history of the Maori people, and sharing that rich cultural heritage with visitors. Te Puia offers an intimate window into the fascinating history and daily life of the Maori people, set against a stunning geological backdrop of rivers, streams, geysers, geothermal pools, and lush greenery. Walk yourself or take a guided tour through the expanse of natural beauty and incredible biodiversity, or participate in traditional events and activities presented by the generous local people. Guides are all Maori, many of whom are the descendants of the founders of Te Puia, who are prepared to welcome visitors into their fascinating world of deep history and intimate traditions. 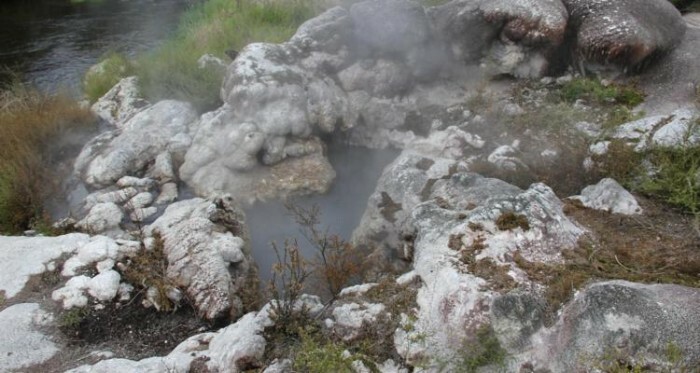 Pohutu Geyser – Maori tradition believes that geysers were gifts from the gods. Upon seeing the remarkable power of the famed Pohutu Geyser, it’s easy to see why. Pohutu Geyser is the largest and most reliably erupting geyser in all the Southern Hemisphere. 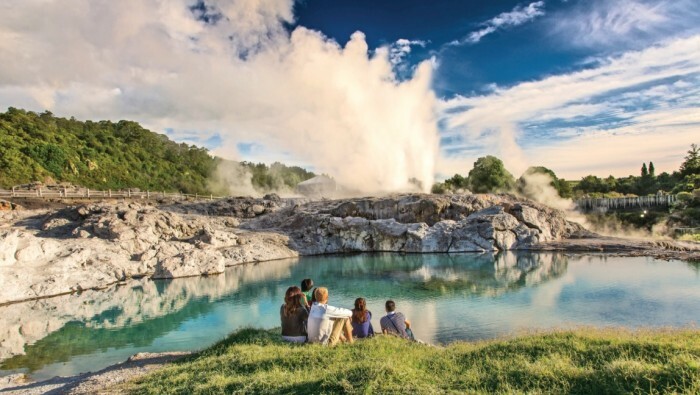 Located on top of the sinter terraces that form the Geyser Flat, Pohutu is one of Rotoura’s most popular sights. A powerful force of nature, the geyser reaches a top height of 30 meters and erupts up to 20 times a day. These eruptions can last anywhere from several minutes to several days and truly are an awe-inspiring sight. 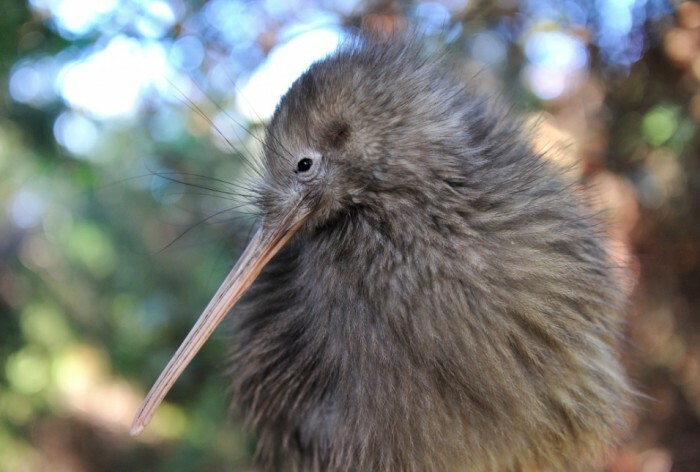 Kiwi House – The Nga Manu Ahueri, or Kiwi House, helps to protect and conserve the Kiwi, New Zealand’s national bird, offering visitors an up close and intimate look at rare species. The Kiwi house runs on a reverse light cycle, simulating night in the day and day in the night. As Kiwis are nocturnal this allows visitors to view the elusive birds in the daytime without disrupting the birds’ natural sleep cycle. Arts and Crafts Schools – Te Puia is also host to three separate schools dedicated to teaching and preserving the long line and rich history of Maori artisans and craftsman. In addition to their ornate aesthetic beauty, Maori arts and crafts are steeped in history , and have been used to pass on the traditions of Maori tribes for centuries. 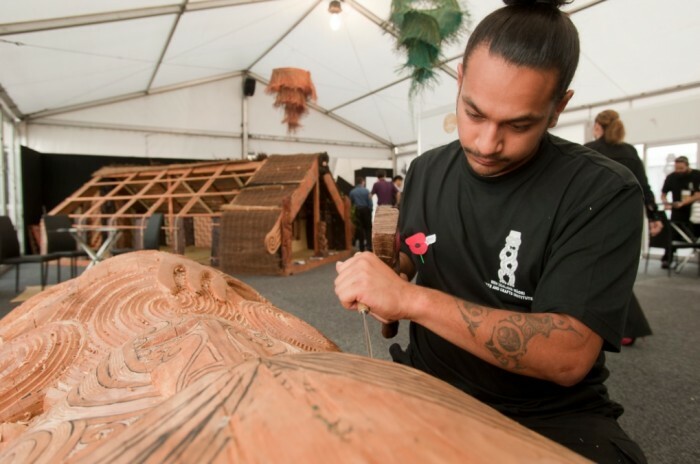 During a day tour, you can visit the Woodcarving, Bone and Stone Carving, and Weaving Schools, where these traditional arts, essential to Maori culture, are taught by master artisans to the next generation of Maori craftsmen. Te Tohu —“Prince of Whales Feathers” – The geyser Te Tohu first erupted in 1886 and is known as the “Indicator,” as it often erupts just before neighboring Pohutu. Also called “Prince of Wales Feathers” in honor of the royal visit to Whakarewarewa in 1901, it is so named for the resemblance between the geyser’s plume and feathers on the Prince of Whales coat of arms. Kereru Geyser – Also located on the Geyser Flat is Kereru, distinguished by its black sinter base and named after the New Zealand wood pigeon. The geyser’s impressive fan-shaped 15m plume resembles the tail of the native bird, and its sporadic eruptions have been compared to a bird coming and going. Te Horu Geyser – “The Cauldron” – Although Te Horu Geyser hasn’t erupted since 1972, the crystal blue waters of this dormant geyser are still a beautiful sight to see. When active, Te Horu used to erupt regularly to a height of 2-7 meters; only time will tell when this powerful geyser will awaken once again. 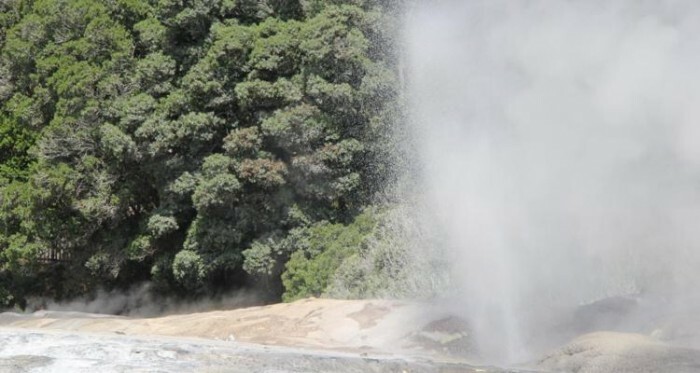 Papakura Geyser – Papakura Geyser is a fascinating study of the link between man and nature. 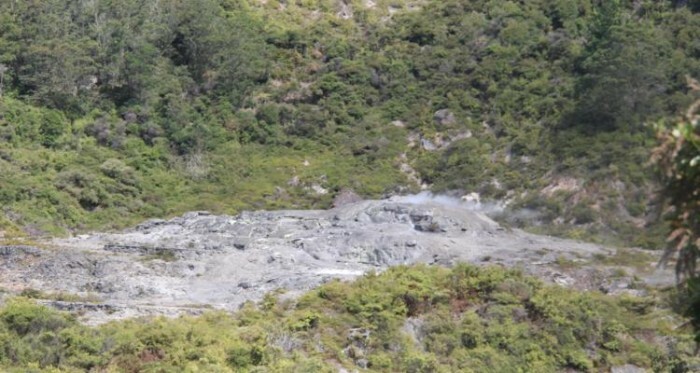 Once as impressive as Pohutu, Papakura erupted continuously for 90 years and was known for the consistency of its eruptions, which reached up to 3 meters. Unfortunately, due to private and commercial boring, Papakura went dormant in 1979. Thanks to the efforts of one of the world’s first bore-closure programs, Papakura is coming back to life. 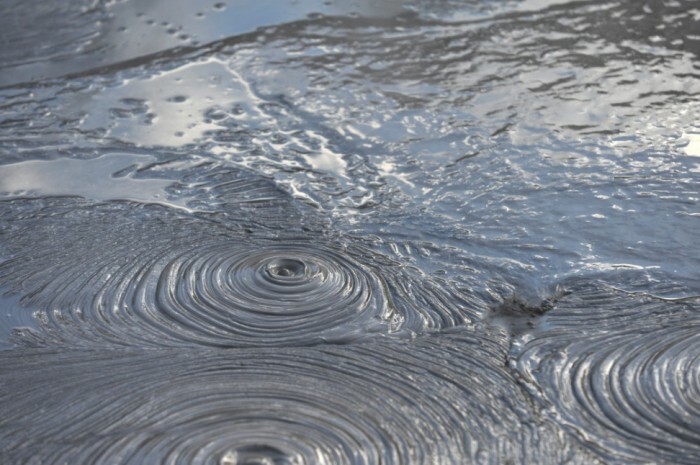 Visitors can now witness this miraculous geological rejuvenation as Papakura springs to action once more. Ngaratuatara – This constantly boiling alkaline spring has been used as a natural cooking pool for centuries. Local Maoris use the spring for Ingo, a cooking technique where various fresh foods are placed in a traditional flax woven basket and lowered into the boiling water. Visitors can partake in this authentic experience and enjoy a freshly cooked Ingo meal prepared right in front of them. Blue Pool –“Bluey” – This picturesque blue pool is formed by water outflows from the surrounding geysers. It was traditionally used for bathing thanks to its pleasant temperature, which ranges from 30-35 degrees C.
Wai Puki / Nature Walk – Te Puia is home to a rich and vibrant diversity of flora and fauna. Wander the verdant path of the Forest Walk along side the impressive thermal stream, or take a guided tour for a more in-depth experience. The guided tour will highlight the native flora and fauna of Te Puia and give insights into the uses and significance of the different species in Maori culture. Native Plants and Trees – Te Puia is home to several beautiful and unique species of plants and trees. Aside from admiring their aesthetic beauty, the Maori people have found ingenious uses for these remarkable plants, making the native flora of this region a distinct part of Maori culture. Discover the beautiful Manuka flower, whose honey has amazing antibacterial and antifungal properties, or the Pohutukawa tree, with its stunning blossoms and medicinal leaves and bark. The native Totara tree, which can grow to a height of 40 meters, has a straight grain that makes it ideal for the revered art of Maori carving. Culture and Meeting Houses – Te Puia is home to two traditional meeting houses, Te aronuia rua and Te Wananga a Hatupatu. Te aronuia rua, built between 1967 and 1981 by students and graduates of Te Puia’s own carving school, is a beautiful, fully-carved structure that serves as the principle site for cultural meetings, activities, and special occasions. The smaller Te Wananga a Hatupatu was built in 1901 as a place dedicated to learning and traditions. In this historic space stories, family histories, and whakapapa (genealogical links) are passed on through the generations. 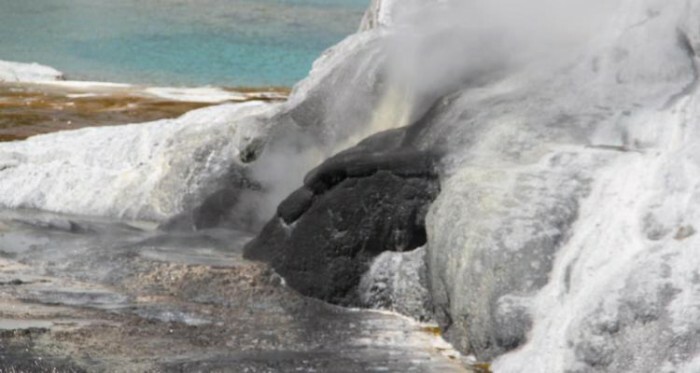 Day pass gives access to all the wonders of the geothermal valley, including the Pohutu Geyser, as well as the Kiwi House, Craft Schools, Pikirangi Village, Toanga Gallery and Gift Shop. Optional guided tours are included and leave every hour starting at 9 am. Tours last 60-90 minutes. Day Pass is valid from 8am-5pm. All benefits of the Day Pass plus a unique and authentic cultural performance, beginning with a traditional Maori Welcoming Ceremony and several interactive activities. Performances last 45 minutes, allowing plenty of time to visit the rest of the site. All the benefits of the Day Pass plus an extended guided tour and traditional lunch. 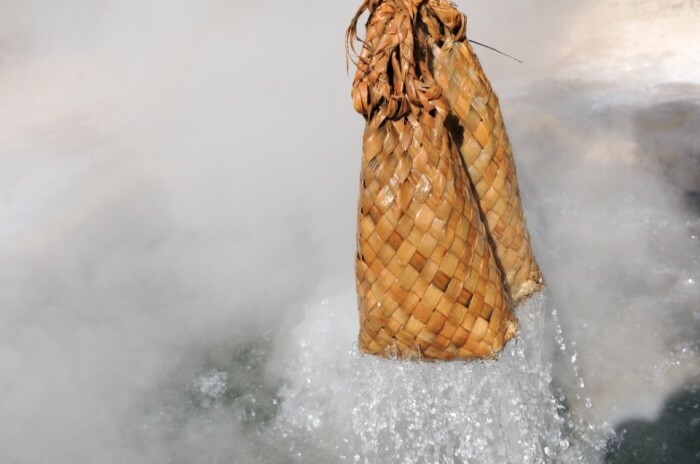 Choose from a variety of foods to be placed in a traditional woven basket and cooked over the Nga Wha Puapua steam vent. The extended tour includes in-depth access to the carving school and weaving school, where you get hands-on experience weaving a traditional flax basket. Lunch is served in front of the famous Pohutu Geyser. 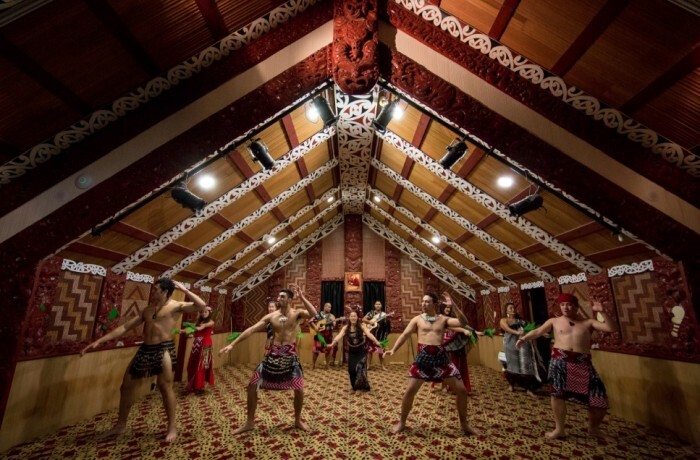 This unique and exclusive cultural experience invites visitors to enjoy traditional ceremonies, exciting live performances, and a traditional Maori feast. Highlights of the evening include a traditional welcome ceremony, poi fire dancing, delectable traditional cuisine, and an opportunity to experience the magic of the Valley by moonlight. Evening activities run from 6pm-9pm. Advanced booking required. All the benefits of the Day Pass plus the full Indigenous Evening Experience. Prior booking required. Wear Comfortable Shoes – Wear flat, sturdy walking shoes or hiking boots for walking the grounds and exploring the varied natural terrain. Sun Protection – As a large portion of Te Puia’s offerings is outdoors, be sure to wear sun block, sunglasses and a hat, especially in the summer months. It’s also a good idea to bring ample water for yourself and your group if you plan on taking an extended or self-guided tour of the grounds. Bus – Rotorua City Ride bus Route 2 has service to Te Puia. Buses leave from Rotorua Central Business District. Car – Te Puia located on State Highway 5 and is a five minute drive from central Rotorua. Between 2000 and 2001, in a rare and remarkable event, the Pohutu Geyser erupted for 250 days in a row. It is a local Maori belief that the Te Whakarewarewa Thermal Valley was formed by Te Pupu and Te Hoata, two sisters known as the Goddesses of Fire, as they traveled through the valley underneath the earth in search of their lost brother. As the sisters got closer to their brother they would lift their heads to the surface to search for him. The geysers and other geothermal hotspots were created in the places where the fiery sisters’ heads rose above the earth. A trip to Te Puia is an absolute must when visiting the area. We splurged and bought tickets for the Indigenous Evening Experience and it was 100% worth the extra money. We learnt so much and the guides were hilarious. On top of all of this, the landscapes look like a postcard – breathtaking! One of my favourite things that we did in New Zealand. Guides were fun and informative, the geysers were incredible and the landscape as a whole, breathtaking. Highly recommended.